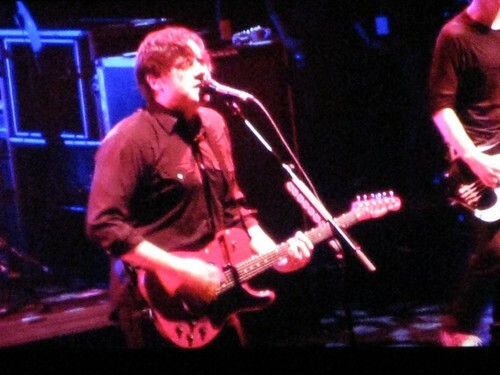 To celebrate the tenth anniversary of Clarity, Jimmy Eat World played the album during 10 shows from February 23 to March 7. 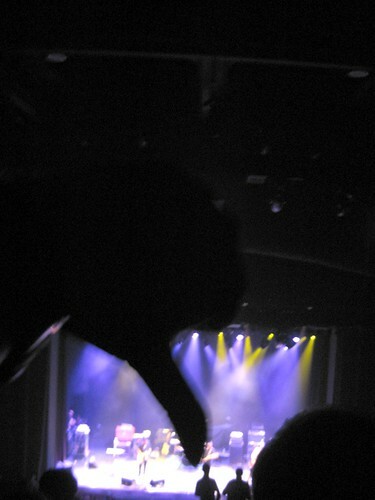 We were lucky enough to go to the concert at Club Nokia on March 5. 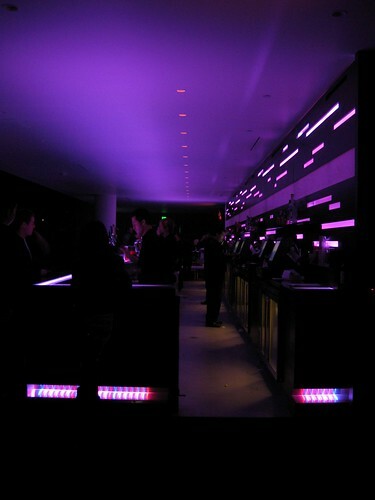 I enjoyed Club Nokia. 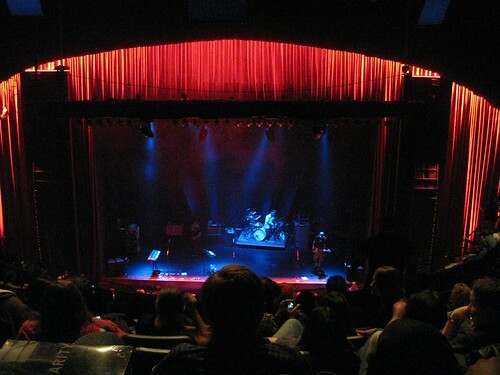 It's kind of like The Wiltern, minus the beautiful art deco architecture and infused with a slick modern sensibility, more comfortable seats, and cupholders. Thanks to Young_Love and her long legs, we had some nice centered seats! No thanks to No Knife. Ugh. No Knife? No talent! We were so happy when Jimmy finally took the stage. 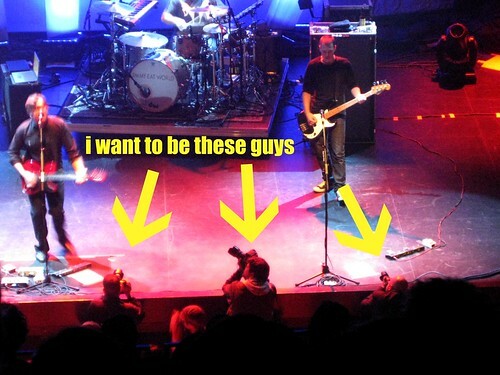 I was so jealous of the professional photographers with press passes. "For Me This Is Heaven"
After Clarity, the band treated us to an encore with treats from other albums. Tim *loves* Jimmy Eat World. I think they are his favorite. I like them too. Super jealous. I am rocking the eff out in my living room. I love love Jimmy Eat World. 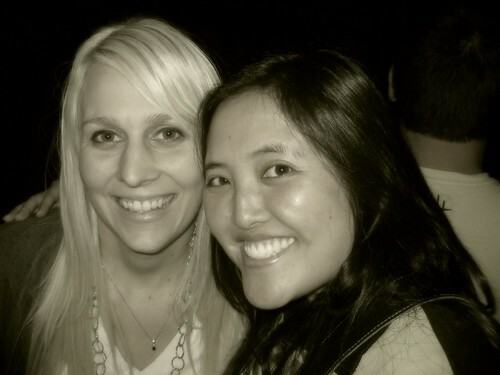 My sister and I made a whirlwind trip to Lawrence, KS a few years ago to see them at a smallish venue. It was awesome. Thanks for giving us a free concert with the blog post! Yay!! I love that pic of us...so cute! And, as usual, I love your videos. It's always fun to re-live a great experience. Love your cutie patootie pic! i don't think i've ever heard a single JEW song. heh. so, i shall just comment on the last pic - which is totally cute! I like the last picture. You're both so cute. Jimmy Eat World totally reminds me of high school.